Announcement FOR MOTHERS DAY ORDRS - order before mid-day on Thursday. For delivery on Friday/Saturday. GIFT VOUCHERS are also available at www.atelierstellaceramics.com at any time and you will instantly be emailed your voucher code, you you can always add this to a Christmas card if you are last minute shopper! I accept paypal or major cards using etsy's direct checkout. NB** Putting an item in your cart does not guarantee that your purchase will be made - you must complete the payment process to make the sale final. I know this can be frustrating but I'm afraid this the way etsy works. I'm NOT doing any customer orders at the moment. If you want to know more see the 'ABOUT' or 'POLICIES' section on the left and if have any questions please get in touch! FOR MOTHERS DAY ORDRS - order before mid-day on Thursday. For delivery on Friday/Saturday. 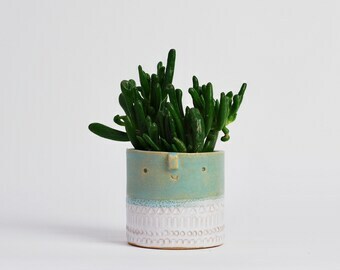 Love my little ceramic planter such lovely quality and looks perfect on my shelf! Thanks! 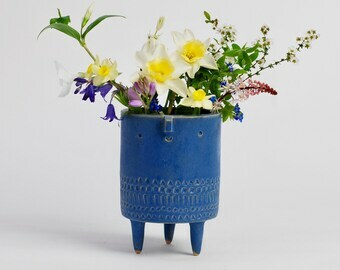 My work is modern, stylish and brings a smile! 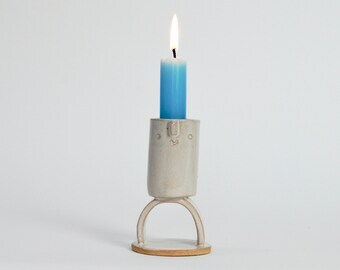 I lovingly design, hand build, fire in my kiln and glaze small batches of work to give you a truly unique, one of a kind work of art. 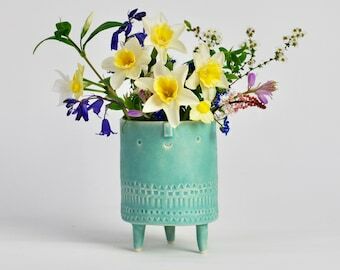 My pots are hand built or sculpted from slabs and pinch pots to create unique pieces that I would love in my home - and I do have a lot! 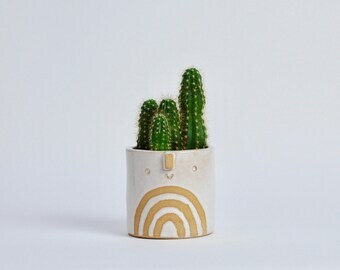 I'm influenced by Swedish and Italian potters from the 50's and 60's, mixing the rustic use of patterns with the frivolity of character. 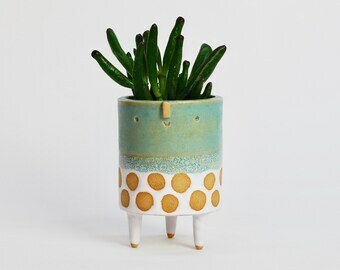 Brighton based designer, illustrator and ceramic artist. Paper and wood cut expert. Hand poured candles with beautiful fragrances. 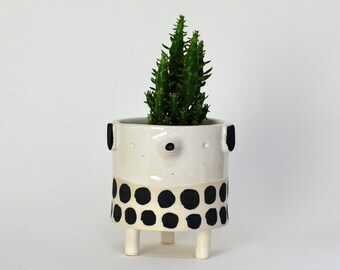 Hello, I am a ceramic artist based in Brighton. 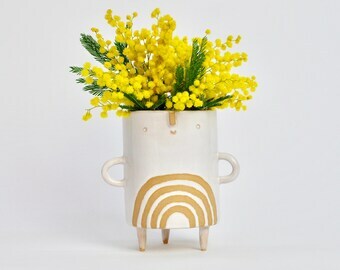 Here are my original creations which will bring some happiness into your home. Currently I am accepting paypal and etsy direct checkout only. UK - I post all items 2nd class Royal mail, which will require a signature. Rest of the world - I post via trackable mail, this means the parcel is insured and trackable. It usually takes up to ten working days to receive your parcel, but can take longer at busier times. I have to estimate costs as each piece varies in size and weight. I am usually pretty close to the cost but if I do over estimate more than a few pounds - particularly with combined orders, I will refund via paypal. As I don't want to overcharge. **Sorry I am not doing custom orders at present.